Rasmussen, Mark. "Coaldale". The Canadian Encyclopedia, 11 May 2016, Historica Canada. 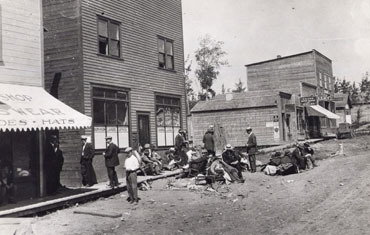 https://www.thecanadianencyclopedia.ca/en/article/coaldale. Accessed 19 April 2019. Coaldale, Alta, incorporated as a town in 1952, population 7493 (2011c), 6177 (2006c). 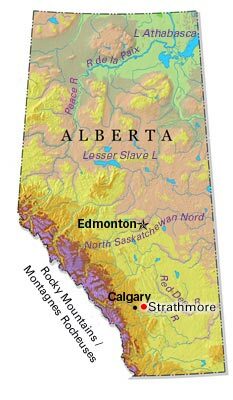 The Town of Coaldale is located in southern Alberta. Coaldale, Alta, incorporated as a town in 1952, population 7493 (2011c), 6177 (2006c). The Town of Coaldale is located in southern Alberta. Shortly after the construction of the Canadian Pacific Railway line through southern Alberta in the mid-1890s, the railway company named its first rail siding east (14 km) of LETHBRIDGE, Coaldale. The name came from Coaldale Home, the residence of Elliot T. Galt, a prominent figure in Lethbridge's early coal mining industry, rail interests and land development. However, irrigation farming on the shortgrass prairie, rather than coal mining, has been the dominant economic activity of the Coaldale area. An irrigation company owned by Galt brought water and promised rich grain yields to prospective settlers shortly after the turn of the century. While many of these first farmers came from the US, following WWI a veteran resettlement scheme drew former soldiers from many countries to the wheatlands. This settlement was followed by the MENNONITES starting in the mid-1920s, uprooted JAPANESE CANADIANS from BC during WWII, and DUTCH in the 1960s. The town today is a service centre for surrounding agriculture and a commuter community for Lethbridge.